This page covers the author of I'm Watching You. For other authors named Mary Burton, see the disambiguation page. Local romance authors Sabrina Jeffries, Mary Burton and Joanna Bourne gather together to talk about new books, plot lines and various other romantic notions. Sabrina Jeffries sold her first book in 1991 and has 35 published novels to her credit. Whenever she struggles with a plot point, she shuts off the computer and tackles a jigsaw puzzle, and before long, bingo! While Sabrina treks through remote locales in the name of research and rubs elbows in the big cities with other industry professionals, she says her favorite destination is home. She lives in Cary, North Carolina, with her two best guys—husband, Rene, and adult son, Nick, who has inspired her to actively champion the cause of autistic children. Mary Burton’s southern family has always enjoyed tall tales and a good yarns. Early on, MB realized that Story had tremendous power to inspire strong responses such fear, laughter, love and even sorrow. After a decade of working in marketing and sales, MB became convinced she could write and sell one of the many stories buzzing around her brain. Fingers crossed, MB left the marketing profession and devoted all her spare time to writing a novel. Soon after, she sold her first manuscript to Harlequin Historicals. Since that initial sale, MB had written twelve historical romances for Harlequin Historicals, four short romantic suspenses for Silhouette Romantic Suspense and a non-fiction book The Insider’s Guide to Direct Marketing. Her romantic suspense titles have received critical acclaim from New York Times Best Selling authors Carla Neggers, Brenda Novak and Lisa Jackson as well as Library Journal and Publishers Weekly. Under the name Mary Ellen Taylor, Burton now writes women’s fiction. Her first release is The Union Street Bakery (2/13, Berkley Trade). Joanna Bourne is the author of The Black Hawk, The Forbidden Rose, and the Spymaster series including My Lord and Spymaster and The Spymaster's Lady. She has always loved reading and writing romance. She's drawn to Revolutionary and Napoleonic France and Regency England because, as she puts it, “It was a time of love and sacrifice, daring deeds, clashing ideals, and really cool clothing.” She's lived in seven different countries, including England and France, the settings of the Spymaster series. Joanna lives on a mountaintop in the Appalachians with her family, a peculiar cat, and an old brown country dog. Special Pre-Release Signing: Mary Burton and No Escape! Everything about this investigation is unnerving Jo, from Harvey’s fascination with her to the fact that she’s working alongside Texas Ranger Brody Winchester, her ex-husband. Harvey’s protégé is growing bolder and more vicious every day. And soon the trail of shallow graves will lead them to the last place Jo expected, and to the most terrifying truth of all. . .
Mary Burton’s southern family has always enjoyed tall tales and a good yarns. Early on, MB realized that Story had tremendous power to inspire strong responses such fear, laughter, love and even sorrow. It didn’t matter if the tale was found in the pages of a book, spoken in hushed tones around a Girl Scout campfire, or spouted at an old fashioned southern family reunion. This appreciation of story motivated MB to earn an English degree from Virginia’s Hollins University. After decade of working in marketing and sales, MB became convinced she could write and sell one of the many stories buzzing around her brain. Fingers crossed, MB left the marketing profession and devoted all her spare time to writing a novel. Soon after, she sold her first manuscript to Harlequin Historicals. Since that initial sale, MB had written twelve historical romances for Harlequin Historicals, four short romantic suspenses for Silhouette Romantic Suspense and a non-fiction book The Insider’s Guide to Direct Marketing. Her first single title romantic suspense for Zebra I’M WATCHING YOU was a December 2007 release. In 2005, THE UNEXPECTED WIFE was a finalist in the Romance Writers of America’s RITA contest and WISE MOVES was 2006 nominee for Romantic Times’ Critics Choice Award. Her romantic suspense titles have received critical acclaim from New York Times Best Selling authors Carla Neggers, Brenda Novak and Lisa Jackson as well as Library Journal and Publishers Weekly. Under the name Mary Ellen Taylor, Burton now writes women’s fiction. Her first release is THE UNION STREET BAKERY (2/13, Berkley Trade). MB resides in Virginia where she enjoys yoga, cooking, hiking and the occasional triathlon. Mary Burton loves writing suspense, researching law enforcement and forensic procedures, morning walks, baking, books, and tiny dachshunds. She also enjoys hunting down serial killers, which she does in her New York Times and USA Today bestselling novels of suspense and romance. Library Journal has compared her work to that of Lisa Jackson and Lisa Gardner, and Fresh Fiction likened her writing to that of James Patterson. Mary’s first book was published in 2000 and she’s now the author of thirty-four published novels, including her contemporary women’s fiction written as Mary Ellen Taylor, and five novellas. 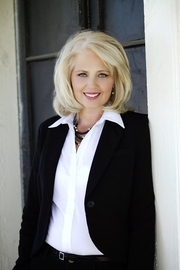 She’s known for creating multiple suspense stories connected by characters, such as her recent The Forgotten Files novels. Her new book, Her Last Word, and her recent The Last Move, break that mold. When not traveling for research or visiting with readers, Mary remains very much a homebody. She and her husband spend time alternately enjoying and lamenting their empty nest and spoiling their four-legged babies Buddy, Bella and Tiki. Mary Burton's book No Escape was available from LibraryThing Member Giveaway. Mary Burton's book Before She Dies was available from LibraryThing Member Giveaway. "Mary Burton" is composed of at least 2 distinct authors, divided by their works. You can edit the division. Mary Burton is composed of 1 name.